I didn’t think of it but this week’s unexpected theme was anything on Korea. At least May is still Asian Heritage Month and before going on-air at CKCU, there were some Koreans checking out the station. Since CKCU-FM has a Chinese and Vietnamese programming, there hasn’t been a Korean spoken program on the station. It was fitting that this entry is dedicated to anything Korean. As you know from my radio show that I play Chinese and some Japanese music. I haven’t played K-Pop (Korean Pop) music as I rarely keep up to date. The photo posted was an event I attended on Sunday afternoon called 4 in 1 Sessions and the second edition had Scary Bear Soundtrack. The lead member, Gloria is Korean. I posted photos on the WildWorks Facebook page. For some unique reason, there’s a nice I took during the Victoria Day long weekend, here’s the link. Who else is Korean (mentioned on CKCU-FM)? Well, there’s Nat from Nat & Marie as I gave a shoutout on my slightly Korean themed show. Aside from Asian Heritage Month, there was some tributes played on the show. One for Donna Summer (first part) and Robin Gibb of The Bee Gees (the live show) as both talented musicians passed away recently. Getting into pop culture, The Rolling Stones were played because Mick Jagger hosted and performed on the season finale of Saturday Night Live. Arcade Fire performed one of the songs from the final sketch. It’s lovely hearing the song, She’s a Rainbow. Last thing, I cannot stop listening to Beach House’s new album, Bloom. Aside from Myth and Lazuli, I decided to play Other People to make it different week after week. Without further ado, the playlist for the May 23rd show is at this link. The May 23rd Radio Show – Press play to listen. It was an exciting time on Saturday afternoon for Chinatown Remixed as there were activities happening through out Ottawa Chinatown. There were so many events happening on Saturday, May 12th, it was nice to see a good turnout for Chinatown Remixed. 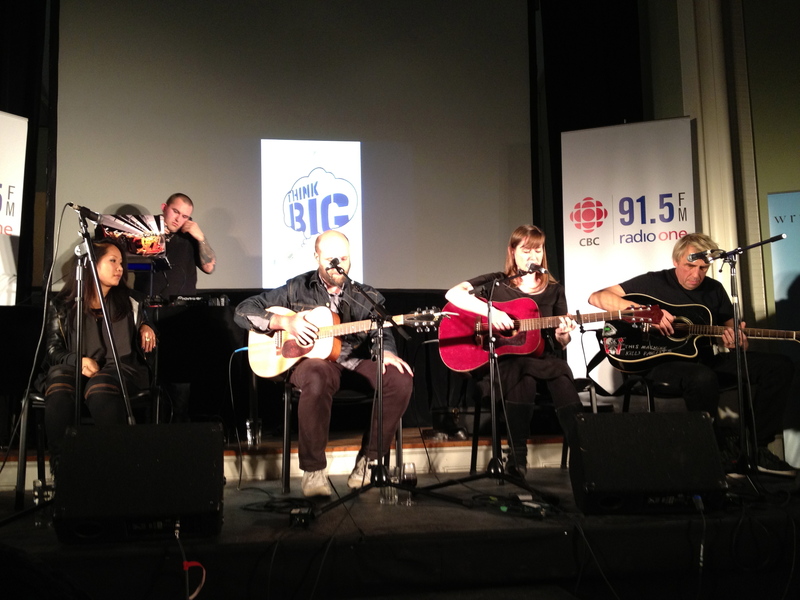 As previously mentioned elsewhere, it was a privilege for CKCU-FM to take part in the event. As the community radio station, it needs to get the exposure from attending various cultural events since the station has other multicultural programs. It was awesome that they were able to set up the tent and get DJ 2 Creamz spinning tunes throughout the afternoon. Since the event has been running for four years, it was the first time to have the Success Lion Dance Troupe participate. It’s my second time to check out the event. Kudos to the organizers for bringing an excellent event to Ottawa Chinatown. A big thanks goes to Chris White of CKCU-FM and DJ 2 Creamz for taking part and being enthusiastic to the event. I was able to take photos as they are posted up on my Facebook page at WildWorks. 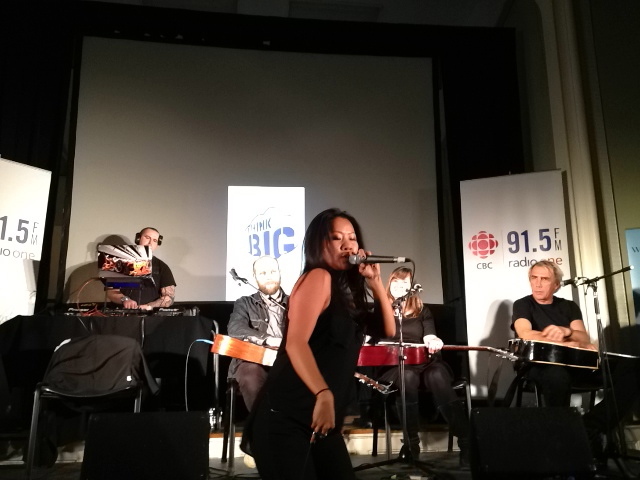 This week’s radio show was the continuation of the Asian Heritage Month theme with playing Canadian bands and musicians with Asian backgrounds. There were new songs from Scary Bear Soundtrack and Hexes & Ohs. Then a classic song by The Acorn as there were past members with Asian roots. How could I forget about the new Beach House album, Bloom. All I can say that it’s probably one of my favourite albums of 2012. Prior to that, there was the Wild 10 Countdown and a new number one song this week. The playlist for the May 16th show is at this link. The May 16 Radio Show – Press play to listen. 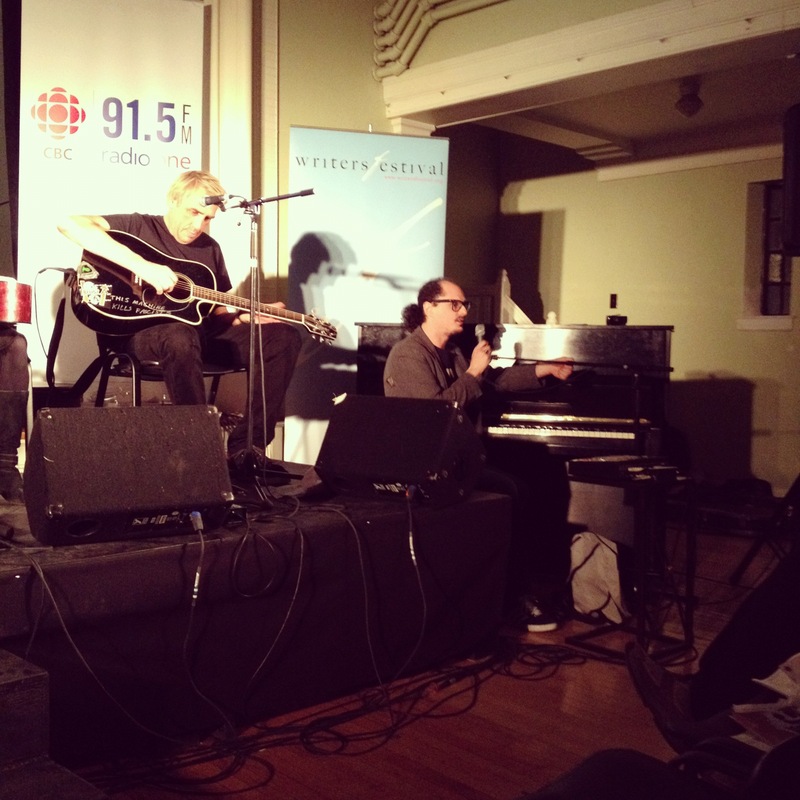 It’s becoming a yearly tradition on my radio show at CKCU-FM to play songs for Mother’s Day. I am following the way that Hong Kong radio does as they play songs for Mother’s Day. I know that Cantopop is usually about love ballads but there are a few songs that mentions mothers. It’s always a privilege to play the well-know songs for Mother’s Day every year. As usual, the important songs being played were Bless by Sally Yeh and Truly Love You by Beyond as their songs brings a message about caring for you loved one. There was a dedication to a person from Toronto because I read her website and it almost brought me to tear having to read about her mom. I decided to play a song called 祝福 (Bless) by Jacky Cheung. It’s the same name from the Sally Yeh song but different. Before the Mother’s Day songs, there was a tribute to Teresa Teng as May 8th was her passing. May 8, 1995 to be specific was when she tragically died and music fans in Asia mourned the loss of an incredible singer. Apologies on the lack of a good photo. I recently got the Vibram FiveFingers KSO shoe at MEC. So far, it’s been comfortable wearing these minimal shoes. Walking with them feels pretty good and I don’t lose balance. As what people say, it does feel like you are walking barefooted. As usual, the Wild 10 Countdown and a tribute to Adam Yauch, known as MCA from the Beastie Boys were played on the first part of the show. The full May 9th radio show playlist is posted at this link. The May 9th Radio Show – Press play to listen. It’s now May and a brand new month but first thing to mention, I had a great time on Monday night at the Ottawa International Writers Festival for the All In A Day Songwriters Circle: The Stage Name Summit. 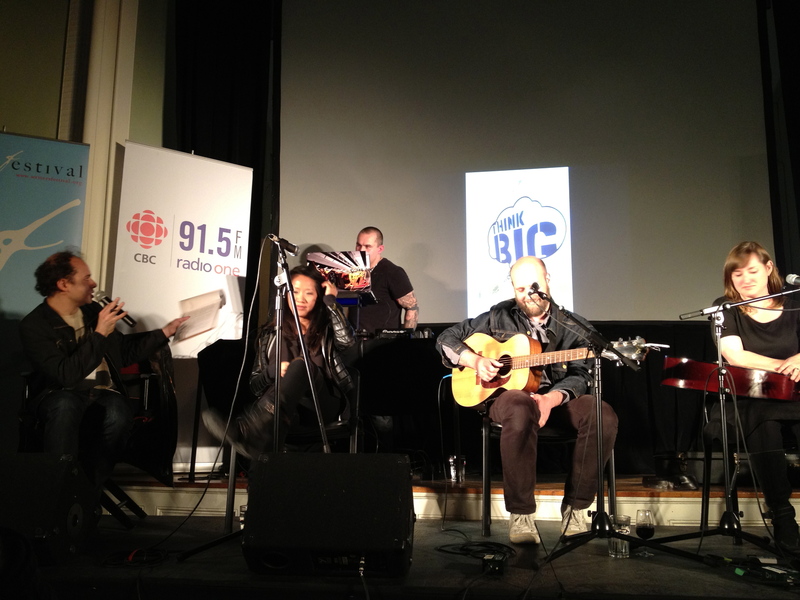 From the photo shown above, there was Masia One with DJ 2 Creamz and CBC’s Alan Neal. Other performers for the songwriters circle who attended were Snailhouse, Oh Susanna, Socalled and Joe Keithley (from the punk-rock band, DOA). Out of the five performers, the ones I’m familiar with were Masia and Snailhouse since I usually see them from time to time and been a great supporter to their works. Overall, it was nice to watch the performers be witty among one another and giving their best performances to the audience on the final night of Writers Festival. The photos will be posted below. 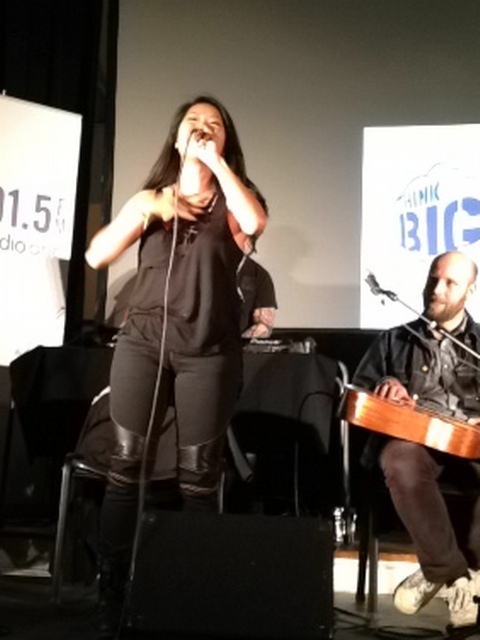 Wednesday’s radio show was SOCAN week and to be unique, I decided to play Canadian bands and musicians with Asian backgrounds as May is Asian Heritage Month. It was a bit difficult finding a Canadian musician with Asian descent but I was able to pull through the live show. On the first part of the show, the new song by Metric got played and as usual, the Wild 10 Countdown with a new number one song to begin May. The May 2nd Radio Show – Press play to listen.